Ice skating while a creepy 5 meter tall Halloween witch is staring at you. Travel through a foggy maze with spooky monsters on ice! Be the first to experience a unique Halloween event this month end. 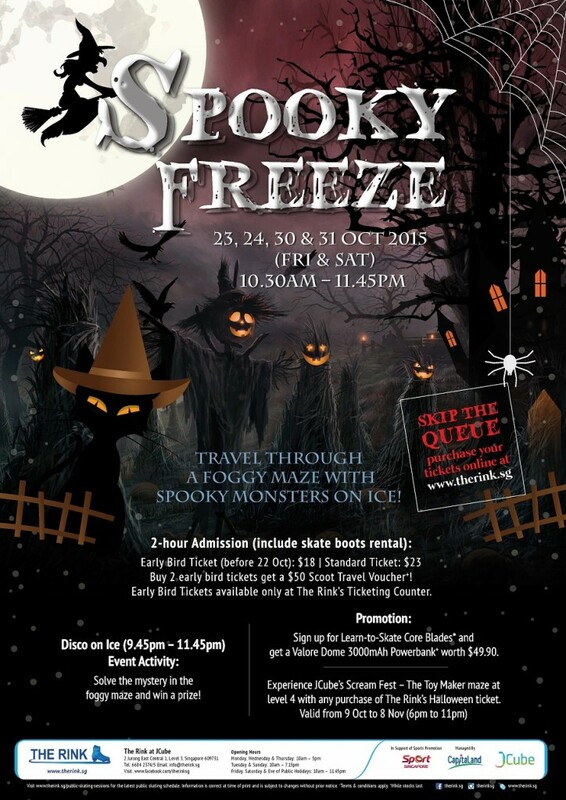 The Rink @ JCube presents Spooky Freeze on Ice! – Buy 2 early bird tickets and get a $50 Scoot Travel Voucher!